Prigozhin, known as Vladimir Putin's "chef" because of his work to organize catering events for the Russian president, has been indicted by U.S. investigators for allegedly trying to interfere in the 2016 U.S. presidential election. He also is accused of playing a key role in Russia's support for pro-Russia separatists fighting Ukrainian government forces in eastern Ukraine. Novaya Gazeta reporter Denis Korotkov's article on Prigozhin was published on October 22, less than a week after a funeral wreath was anonymously sent to the journalist's home with a note calling him "a traitor to his country." Novaya Gazeta -- which has had five of its reporters killed since 2000 for their work -- says Russian authorities are conducting a smear campaign against Korotkov in response to allegations he has endangered the lives of Russian soldiers' families by publishing personal information about Russian military pilots in Syria. Korotkov's October 22 article about Prigozhin is based on a series of interviews he conducted with Valery Amelchenko, a former convict who claimed he worked as a security aide for Prigozhin. Korotkov quoted Amelchenko as admitting that he personally orchestrated attacks on several of Prigozhin's rivals, including the killing of an opposition blogger in northwest Russia, on Prigozhin's behalf. Amelchenko also was quoted as saying several people who work for Prigozhin had traveled to Syria in 2017 to test an unknown poison on Syrians who refused to fight for Syrian President Bashar al-Assad's government. Novaya Gazeta corroborated the account with two other sources. Korotkov said he received a call from Amelchenko's phone later that day and when he went to the man's house, he found two mobile phones and what looked like his shoe lying on the ground. Pirgozhin is alleged to have financed and directed the Internet Research Agency -- a St. Petersburg-based firm involved in online influence operations on behalf of the Kremlin. 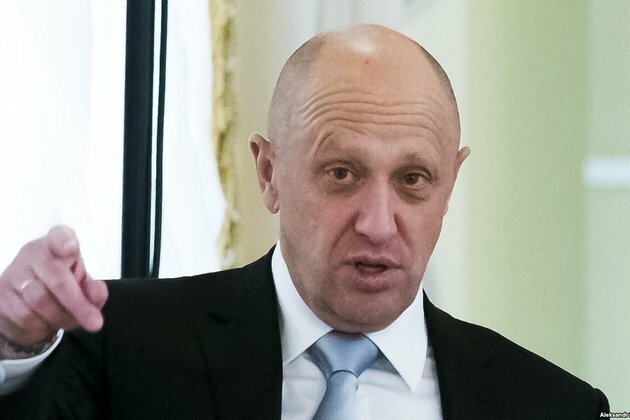 The U.S. Treasury imposed sanctions against Prigozhin in December 2016 for providing support for Russia's involvement in the war in eastern Ukraine. Another member of Prigozhin's security detail, Oleg Simonov, is suspected of attacking the husband of a lawyer of opposition politician Aleksei Navalny's Anticorruption Foundation and injecting him with poison. Media in Russia and in the West have linked Prigozhin to the Vagner group, a private Russian paramilitary organization whose contractors have reportedly taken part in the wars in Syria and eastern Ukraine.